Carlo Maria Viganò, is the former apostolic nuncio to the United States, who wrote several letters which led to a campaign against Pope Francis. Viganò has lost the civil case with his brother for the management of their family inheritance. A ruling by the fourth section of the Civil Court of Milan last October (judge Susanna Terni, number 10.359 / 2018) condemned him to compensate Don Lorenzo Viganò for a million and 800 thousand Euro, together with legal interests and court costs. Archbishop Carlo Maria and his brother Don Lorenzo, a scholar of Mesopotamian civilization, held their substantial family assets together, which in 2010 included buildings worth around 20 million Euros plus a considerable liquid sum of over six million euros. EUR. The legacy had always been managed by the Archbishop. According to the ruling, the former nuncio continued to receive the proceeds from real estate and the availability of cash, obtaining a total of "transactions for a net amount of € 3,649,866.25". Half of this amount will now have to be paid to brother Don Lorenzo. 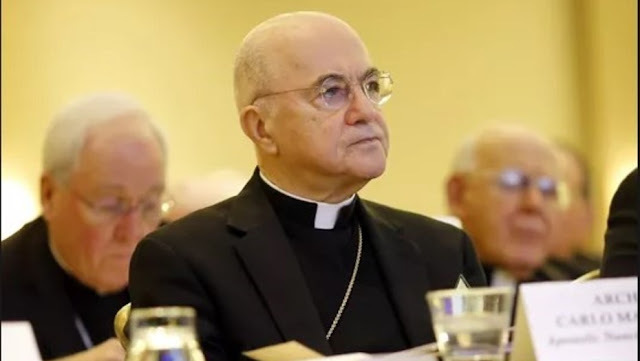 The priest had been quoted by the archbishop on the eve of Vatileaks, when Carlo Maria had tried not to leave the Vatican by writing to Benedict XVI not to be able to take up the post of apostolic nuncio in the US because of the illness of the brother he was supposed to take care of . Viganò, supported by several US bishops, with a leading role in recent weeks, arriving two days ago to sign a message to all the participants at the meeting of the US Bishops' Conference, asked them to resist the Pope. This puts rather a different spin on the Vigano allegations. Was saddened to read this; there is so much more than meets the eye. What's he doing with millions to throw around in the first place? I am beginning to see WHY Pope Francis is not acting on the sexual abuse crisis until February 2019. There are many hounds to catch first.